If you would have told me last year at the holiday break of the College Hockey season, that Robert Morris, Penn State, and Colgate would all be ranked in the top 20 teams in the nation next year at this time, you most likely would have received a polite laugh from me, and a number of other College Hockey enthusiasts. 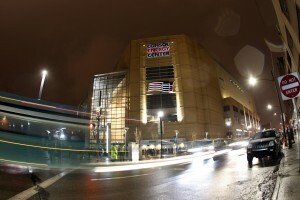 However, that is 100% the case going into Pittsburgh’s 3rd Annual Three Rivers Classic, at the Consol Energy Center. No. 17 Colgate (9-6-1) currently sits in the middle of the ECAC standings, and has been ranked as high as No. 4 during the course of the season. The Raiders are coming off of a pair of losses to Hockey East powerhouses, including Top ranked Boston University, and No. 18 Merrimack. The Colgate upperclassmen have passed the way in scoring, with all six of their leading scorers being seniors or juniors, including 2014 ECAC All-tournament team honoree Tyson Spink. The Raiders defensive play has been primary reason for the team’s success, allowing only 2.07 goals per game. Colgate opens tournament play against Western Michigan at 4:30 p.m. on December 29th. Tournament Host No.19 Robert Morris (11-2-3) has been on a tear thus far in Atlantic Hockey. The Colonials sit atop Atlantic Hockey, bringing with them the Nation’s top scoring offense, currently being the only team producing more than four goals a game. Hobey Baker hopeful, senior Cody Wydo leads the attack for Robert Morris, with 11 goals and 14 assists at the half way mark, which is good for 3rd in College Hockey’s scoring race behind only Jack Eichel (Boston University), and Andrew Gladiuk (Bentley). The Colonials won the Inaugural Three Rivers Classic in 2012, upsetting then No.1 Miami of Ohio for the title. Robert Morris plays Penn State at 7:30 p.m. on the 29th. The surprise of the tournament is No.20 Penn State (9-4-2). The Nittany Lions have played outstanding hockey leading up to the Three Rivers Classic, sitting alone on top of the Big-10 Conference.. Penn State made it to the finals of last year’s Three Rivers Classic, before being handled by Johnny Hockey and Boston College in the finals. Senior Taylor Holstrom leads the way for the Nittany Lions, averaging 1.5 points per game, and is complimented nicely by junior Casey Bailey whose ten goals are good for 10th in the Nation. Penn State will have to get by Robert Morris on the 29th, if they hope to get another shot at the championship game. Rounding out the bunch is Western Michigan (6-8-2) of the NCHC. The Broncos have had a tough road having seen five ranked opponents on their schedule already coming into Pittsburgh. They defeated two of those ranked opponents in Alaska and Denver, as well as recently defeating reigning National Champion Union 8-2, proving they can play with anyone on a given night. Senior Justin Kovacs paces the Broncos with over a point a game through the first 14 games of the season. The Three Rivers Classic is a perfect launching point for Western Michigan to thrust themselves back into the thick of things, having the chance to play two ranked opponents on back-to-back nights. In order to that however, they will have to get around Colgate in the tournament opener on the 29th. Last year at this tournament, I would have bet my house on Boston College walking away with the trophy, and would have been shocked if anyone but the Eagles left with two wins. This year, it’s a different tournament. Any of these teams could leave with a pair of victories. Colgate and Western Michigan are both tied at 25th in Team offense with 2.88 goals per game on the year, and are allowing fewer than 3 goals per game as well. Whoever finds a way to sustain some offensive pressure and get on the score sheet early, I would give the nod to. This game has all the signs of being a low-scoring, hard-fought, game that will be won in the defensive zone. Robert Morris and Penn State on the other hand, expect goals, goals, and more goals. As previously mentioned, RMU has the Nation’s top offense with over 4 goals a game. However Penn State is no slouch in the scoring department, averaging 3.47 goals per game and is currently ranked 7th in team offense. With both teams’ powerplay being in the top 10 in all of College Hockey, I’d do my best to stay out of the box. Goaltenders Dalton Izyk (Robert Morris) and Matthew Skoff (Penn State) will see no shortage of shots this game, and both will be given the opportunity to steal one for their team. Every game has the potential to come down to the wire. 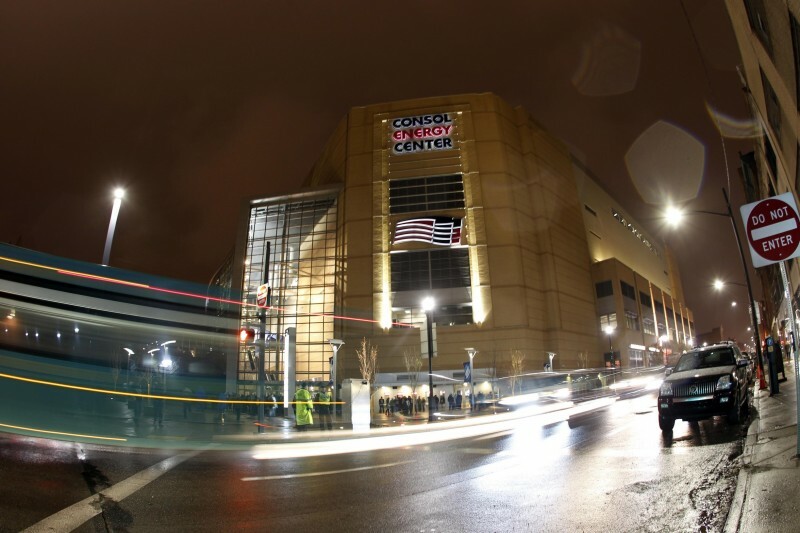 Pittsburgh will be the setting for the most well-rounded College Hockey tournament during the holiday break. Despite Colgate being the highest ranked team coming into the tournament, I believe one of the “home” teams will walk away with the title this year. Both Robert Morris and Penn State are coming in this year with the best records they’ve had in their programs’ history. And with plenty of players having Pittsburgh-ties on both of the rosters, expect these two teams to really bring their “A” game to the Three Rivers Classic.